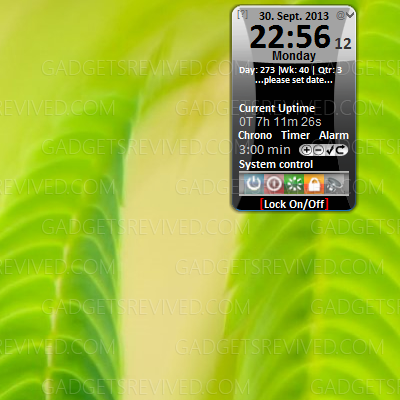 "Computer & Time control" shows the current time, date & uptime of your computer. Control the time with a stopwatch, alarm, timer and countdown. Additionally you can control shutdown, restart or logoff your Computer.